Online video marketing is still emerging as a player in the digital marketing field, but pundits speculate that it will be huge. Daniel Kolossa (Memeburn) looked at the potential for online video marketing in emerging markets, like South Africa, based on current international statistics. Apparently, YouTube now gets four billion views per day; it reflects a 25% growth in views since the beginning of the year. He also cites Cisco, which predicts that video will jump to 90% of internet traffic by 2013. That’s up from 30% in 2010. Finally, Kolossa points out that video results are becoming increasingly common on Google. 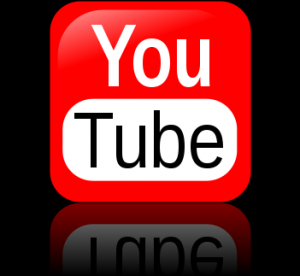 In terms of the South African marketing, Kolossa says that YouTube views have increased by 190% year-on-year. The potential for brand awareness is staggering. In an article for Time Business, Paul Shread cites Laurie McCabe, who says that online video marketing has the potential to be particularly beneficial for small businesses. Shread also cites Jim Dicso, who says that to be truly effective online marketing videos should be personalised and relevant to the personal interests of the audience. On Search Engine Watch, Greg Jarboe references a comScore report that was released in June this year and which looked at successfully incorporating cross-media in marketing campaigns. He cites Judy Bahary, SVP of marketing solutions at comScore, who says that combining TV and digital video campaigns delivers significantly better results than either medium on its own. Digital marketing is a constantly evolving field with trends that come and go, but the experts seem to agree that online video has staying power, which means that you can’t afford to wait before you give it a go.